The Collier Collection at the Fairfield Museum and History Center. It may not be “way” back when, but 2016 marks the year that the Fairfield Museum & History Center became the home of one of the best and most comprehensive libraries of Connecticut history, the Collier Collection. An announcement of the exciting acquisition was made three years ago at the Fairfield Museum in front of local and state officials, members of the press, educators, librarians and supporters of the Museum. Assembled over the distinguished academic career of former Connecticut State Historian Christopher Collier, this extensive compilation of books and other materials is the most complete collection on Connecticut history in private hands. The Collier Collection will be available to researchers and students at the Fairfield Museum’s Research Library, thanks to a grant from the federal Institute of Museum and Library Services (IMLS). Christopher Collier was born in New York City in 1930. He received a B.A. from Clark University, followed by an M.A. and Ph.D. from Columbia University. He is professor of history emeritus at the University of Connecticut and the author of the Pulitzer-nominated Roger Sherman’s Connecticut, Decision at Philadelphia, All Politics is Local. He wrote the Newbery Award-winning historical novel My Brother Sam Is Dead (published in 1974) with his brother, James Collier, as well as seven other historical novels for young adults. Jump Ship to Freedom (1981) was named a Notable Trade Book in the Field of Social Studies in 1981 by a joint committee of the National Council for the Social Studies and the Children's Book Council. Collier was the official Connecticut State Historian from 1984-2004. The State Historian is appointed by the trustees of the University of Connecticut, and is a faculty member in the UConn Department of History. The State Historian is also assigned by the legislature to serve on a number of boards and commissions that promote, preserve, and/or research state history. Among the Collier Collection of Connecticut History’s approximately 1,400 volumes are all the major monographs in Connecticut history, hundreds of local histories, biographies of Connecticut figures, vertical files of scholarly articles, rare and out of print books, and popular works published over the past two centuries. 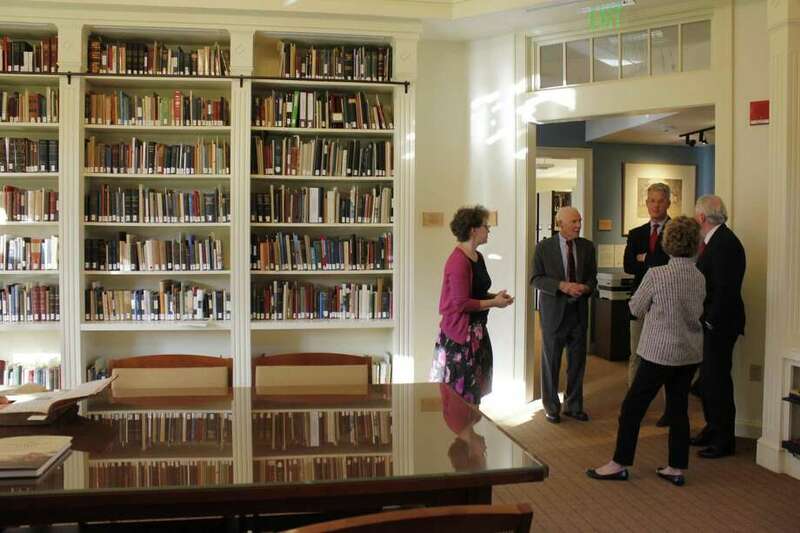 The collection also includes more than two hundred doctoral dissertations on Connecticut history, the only such collection in existence. The Museum research library is open to the public by appointment. Their collection includes family history, historic photographs, maps, newspapers, church books, land records, artwork, paintings, tools, clothing, furniture, and other artifacts which are used for exhibitions and may be consulted by researchers by arrangement. To visit the library, please call (203) 259-1598. Regular library hours are 10am-4pm Tuesday-Friday and noon to 4pm Saturday. The Fairfield Museum & History Center and Museum Shop, located at 370 Beach Road, is open seven days a week, 10am-4pm. Members of the Museum and children under 5 are admitted free. For more information, call 203-259-1598 or visit Fairfieldhistory.org.